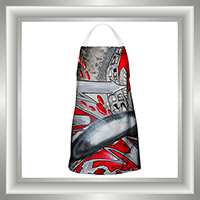 I recently launched an e-commerce store for a customer who takes designs from local artists and places them on household items such as aprons, coasters, placemats and shower curtains. The site Lancaster Art Collection, (Off the Wall Art) is built on the Volusion shopping cart platform and is my choice for sites where the main goal is to sell. Volusion has tons of options for displaying products, specials, categories etc. and also tons of options for shipping. Volusion recently released a set of responsive templates as well, so your store will automatically adjust its format to display properly on mobile devices as well. This is so important these days, especially since Google recently announced they will not be returning search results to mobile devices if the indexed site is not mobile ready. Wow! That alone makes mobile sites not an option anymore. I like Lancaster Art Collection because it features the works of local artists in Lancaster, PA a city rich with the arts. The product pictures are wonderful as well, which is a big factor to consider when selling on-line. The customer can’t pick it up, see it and feel it, so you need to make sure your product pics are as good as possible. So take a look around the site and see if you can’t find something to brighten up your decor and your day!